Looking for eco-friendly wood floors? Reclaimed hardwood flooring is a great choice because it has already been cut and used, and it's ready to be re-used! Learn where to compare hardwood flooring prices from several dealers quickly and easily. 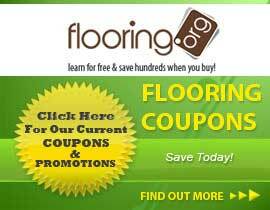 Learn for free & save $$$ when you buy at Flooring.org! Want to know what kinds of exotic hardwood flooring are available? This article talks about all kinds of exotic woods and where you can buy them! Learn everything you need to know about Oak flooring in one, easy to read article from the pros at Flooring.org! Learn for free & save hundreds when you buy! Engineered hardwood flooring can often be a great option for people in a diverse set of situations. Start shopping for hardwood flooring with Flooring.org, and let us find the best prices for your budget!